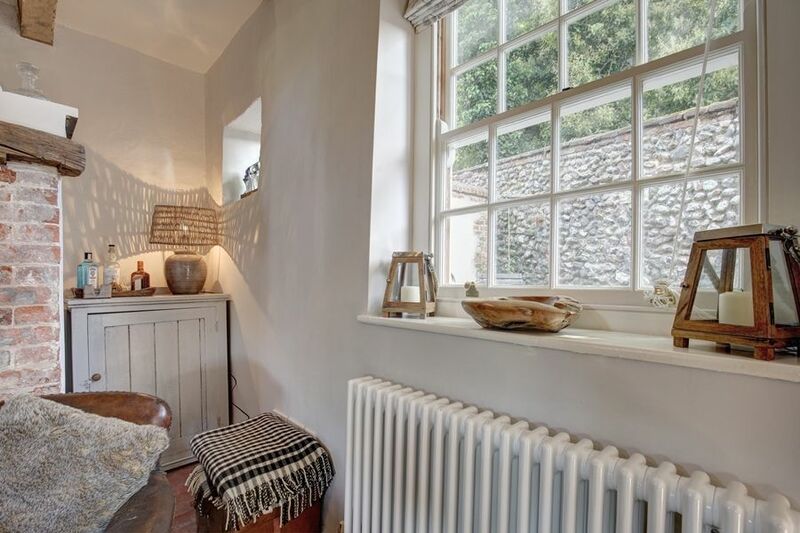 Fox Cottage is a luxurious 18th century Grade II listed brick & flint cottage which has been stylishly refurbished by its owners for use as their holiday home. 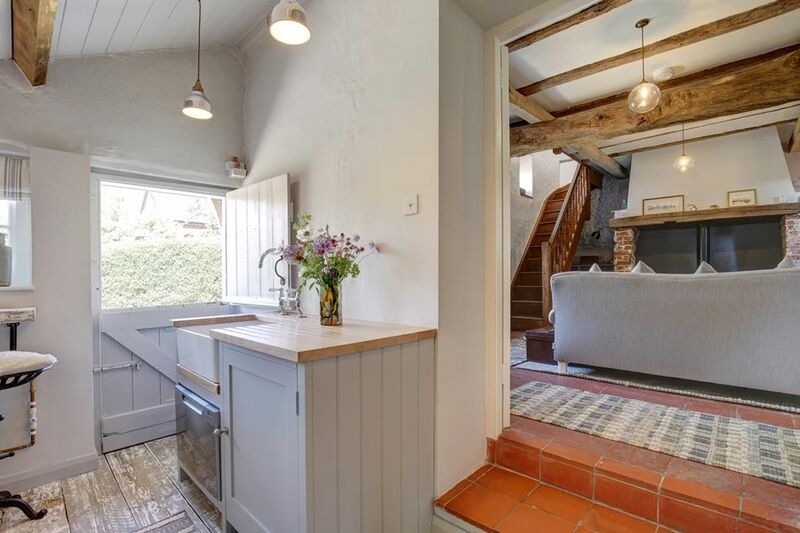 This gorgeous cottage has a wealth of original features and has been imaginatively furnished to create a unique hideaway perfect for couples. 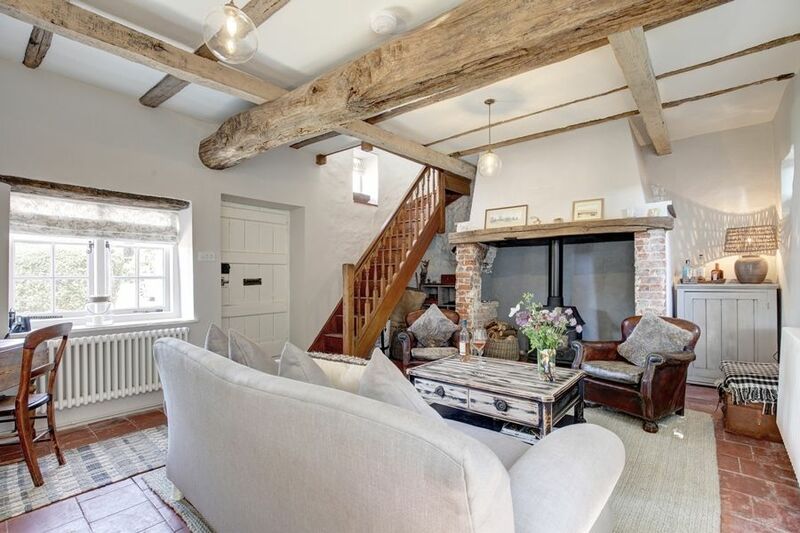 There's a charming sitting room with a high beamed ceiling and inglenook fireplace and a bespoke hand-crafted rustic kitchen with stripped floorboards and all the contemporary mod cons! 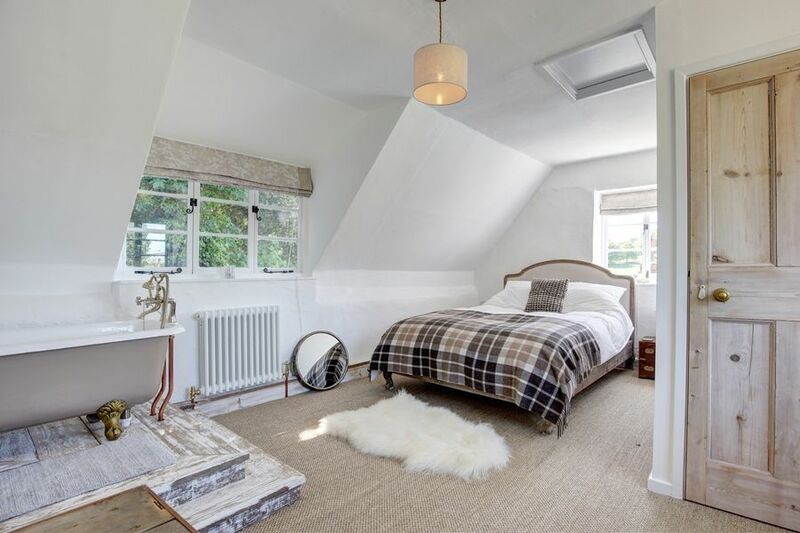 Upstairs has been cleverly reconfigured to create a fabulous light and airy bedroom with an indulgent roll-top bath and a separate shower room. 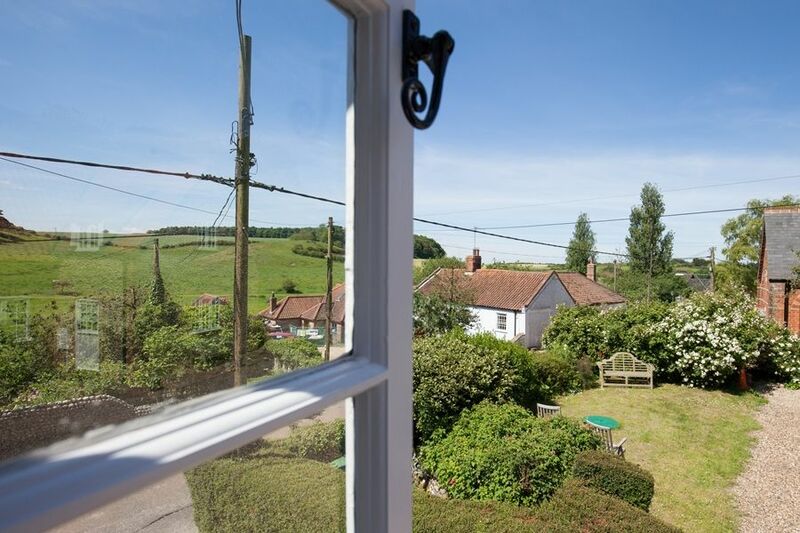 Guests can enjoy lovely countryside views across the valley from here. 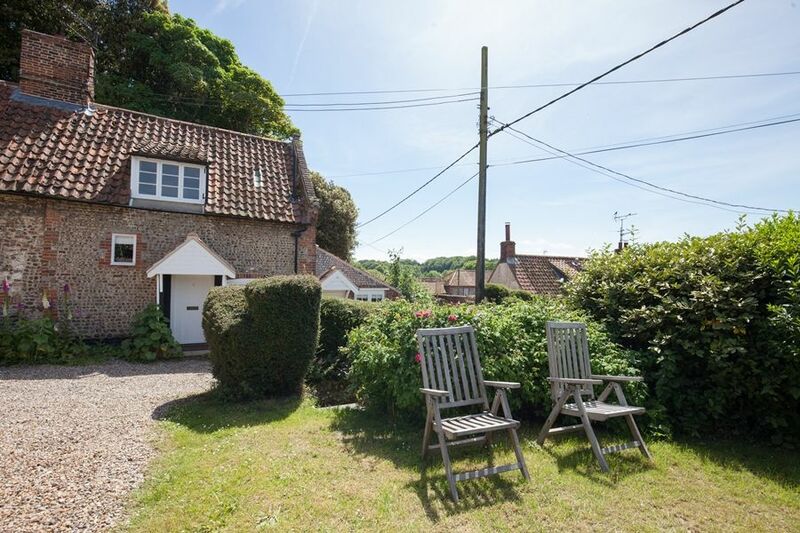 It is ideally located with off-street parking and a pretty garden, perfect for a Norfolk break throughout the year, being within walking distance of Stiffkey's salt marshes and coastal path, excellent Stiffkey Stores and the popular Red Lion pub. It's within a 10 minute drive of Wells-next-the-Sea and Holkham's gorgeous sandy beach. 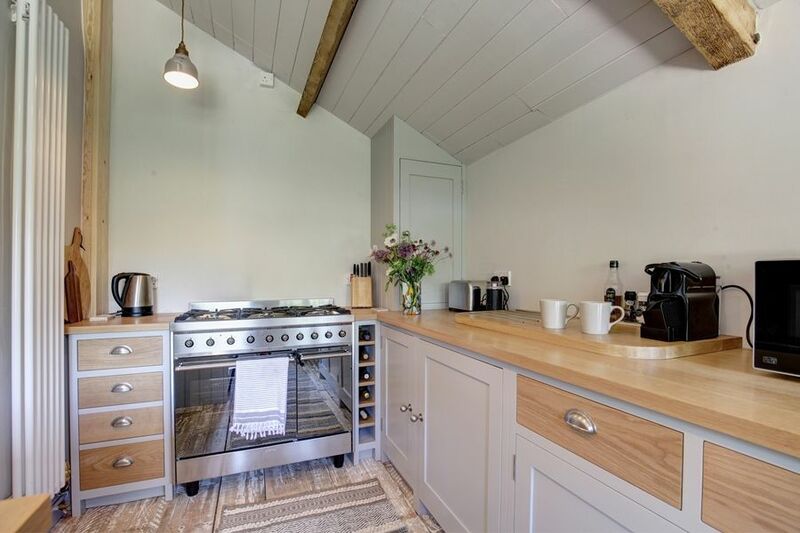 Kitchen: charming bespoke kitchen hand-crafted by a local craftsman, with stripped floorboards, oak worktops, Smeg gas range cooker, Belfast sink with a "drawer" dishwasher under, integral washing machine, integral fridge with ice-box, and a Nespresso machine. 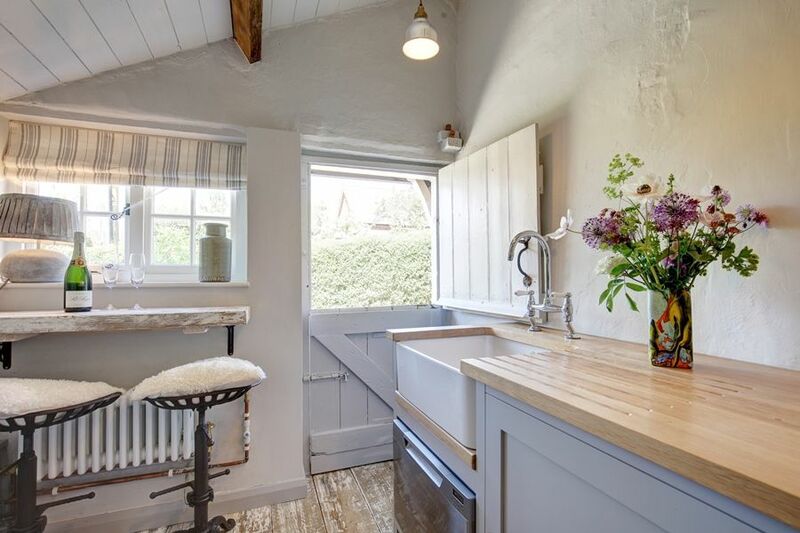 For dining, there's a stylish rustic breakfast bar with two cast iron bar stools with fluffy cushions. A stable door opens out to the front lawned garden. There's the advantage of free wi-fi provided in the cottage. There is a wooden staircase which leads up from the sitting area and opens directly into the bedroom suite. Master Bedroom Suite: luxurious light and spacious room with lovely countryside views across the valley. 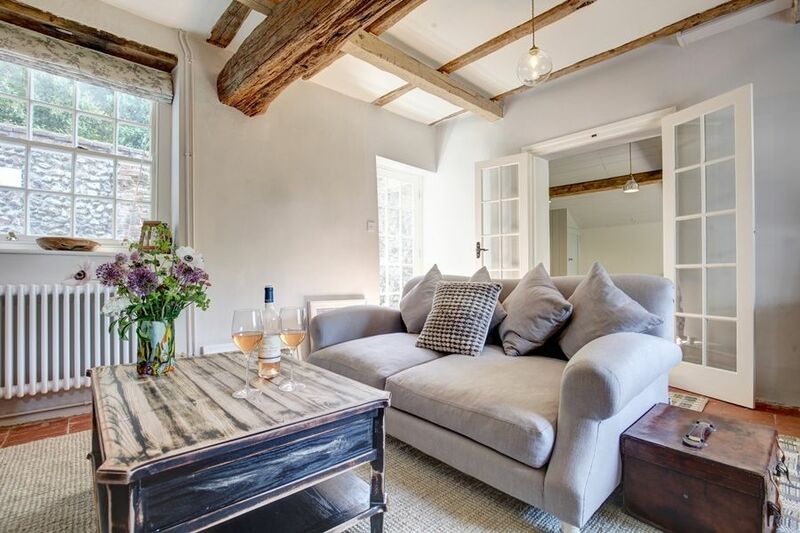 No expense has been spared to ensure that guests have a comfortable night's sleep with a Loaf French-style upholstered king-size bed and hotel quality bed linen and towels, bedside tables and lamps, built-in wardrobe and a dressing table. 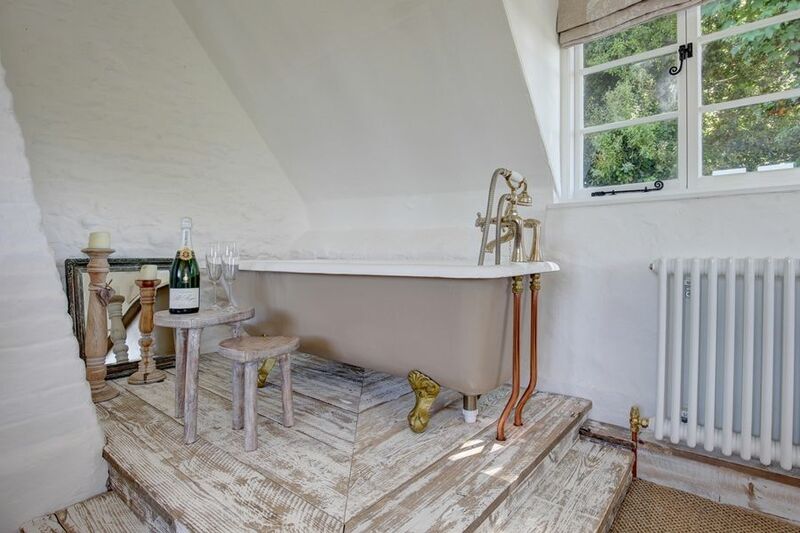 A real feature of this room is the fabulous free-standing bath, cleverly placed on a plinth to enjoy the fabulous views across the valley, whilst sipping a glass of champagne! 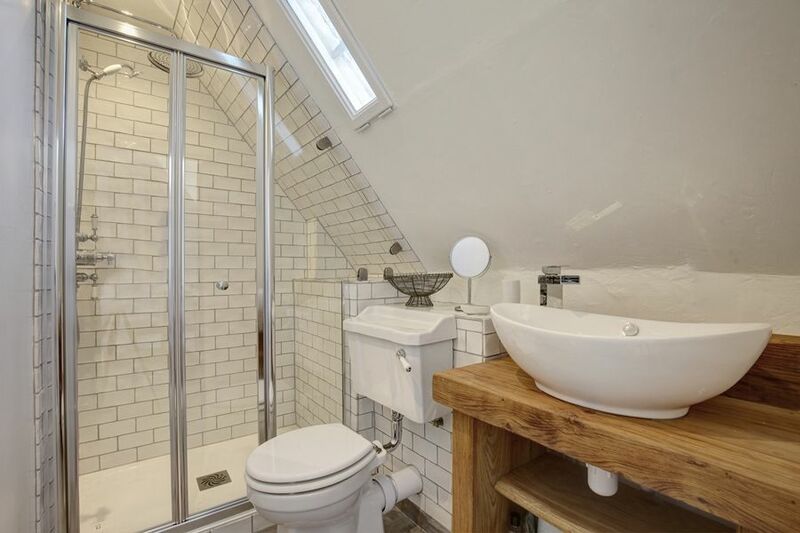 Separate shower room: walk-in shower, hand basin, WC and heated towel rail. 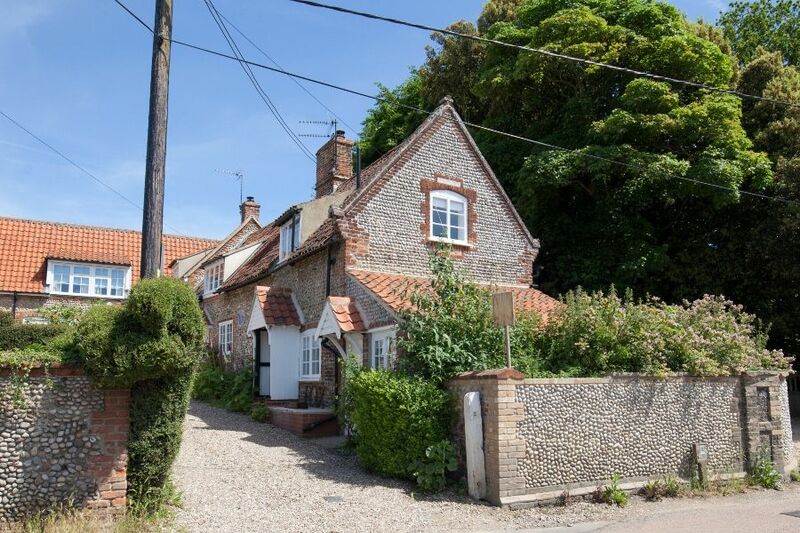 At the front of the cottage is an attractive lawned garden with a shingled parking parking area providing off-street parking for one car. 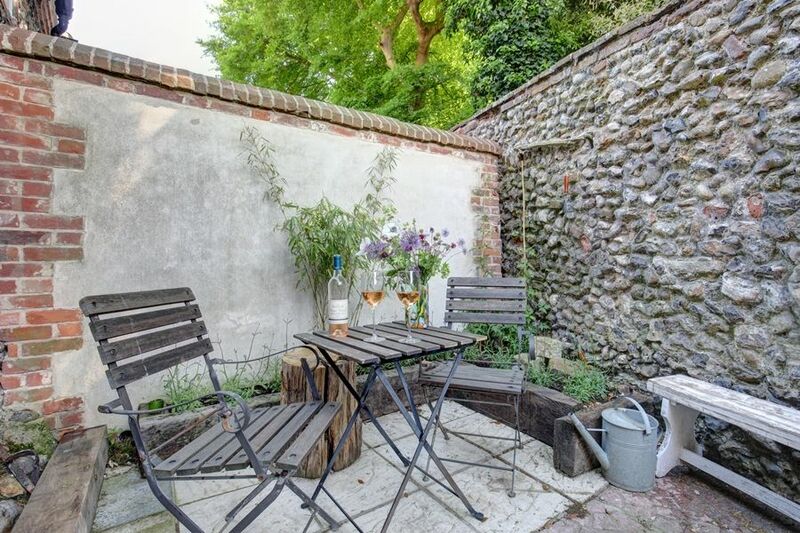 At the rear is a high-walled courtyard garden with an outside table and chairs, perfect for dining al-fresco. 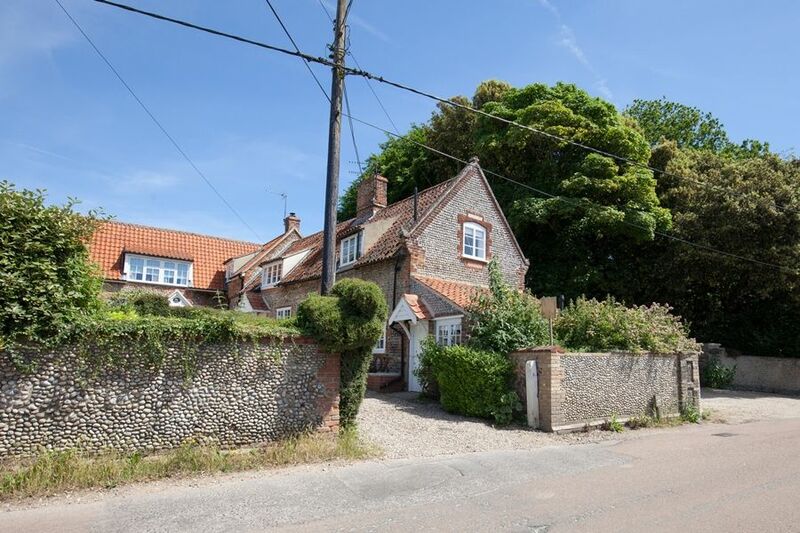 There are delightful walks directly from the cottage along the Norfolk coastal path and Stiffkey marshes. 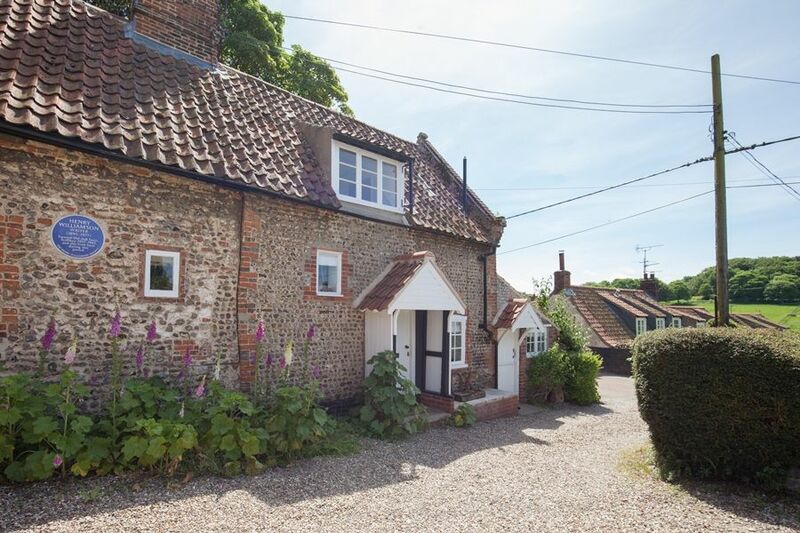 The popular Red Lion pub is only a few minutes walk away, as well as the excellent local Stiffkey Stores which is a real treasure trove with a great reputation for excellent coffee and apparently the best chocolate brownies in Norfolk. Better than Expected. Larger than expected and well equipped. 10 out of 10 for cleanliness 10 out of 10 for the garden Very suitable for the dog and good location. Better than Expected and 10 out of 10 for housekeeping We loved the cozyness and having the dish washer. Was just perfect in every way. We had a beautiful week in a wonderful place. 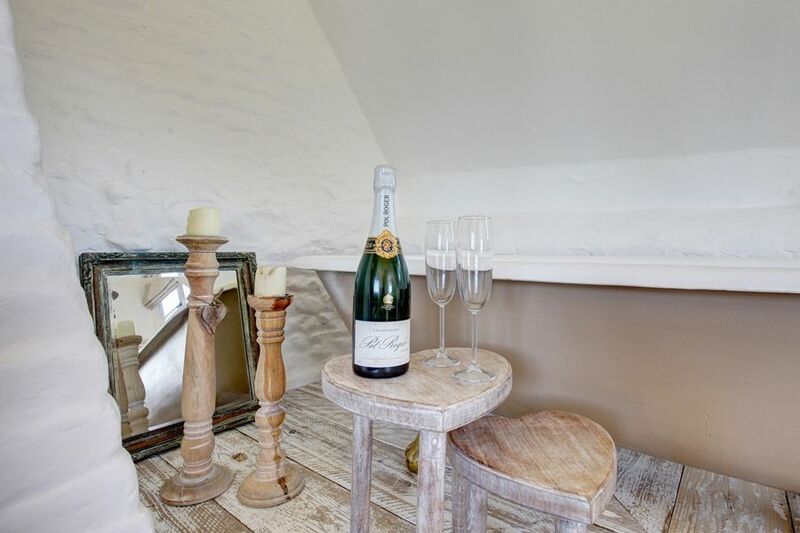 It is such a beautiful location, the cottage is gorgeous, and the personal touches for our honeymoon were incredibly thoughtful and meant so much. Attractively decorated, good kitchen facilities. It was cosy and warm. 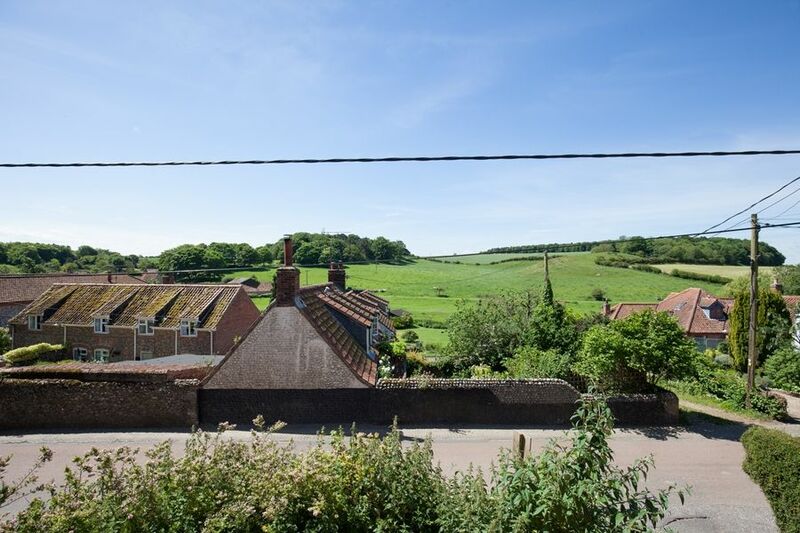 A really nice stay in a lovely cottage in a lovely village with the coast path and the coasthopper on the doorstep as well. It was a beautiful cottage and the owners' attention to detail made our stay and excellent one. Thanks for a great stay, very relaxing, just what we needed! 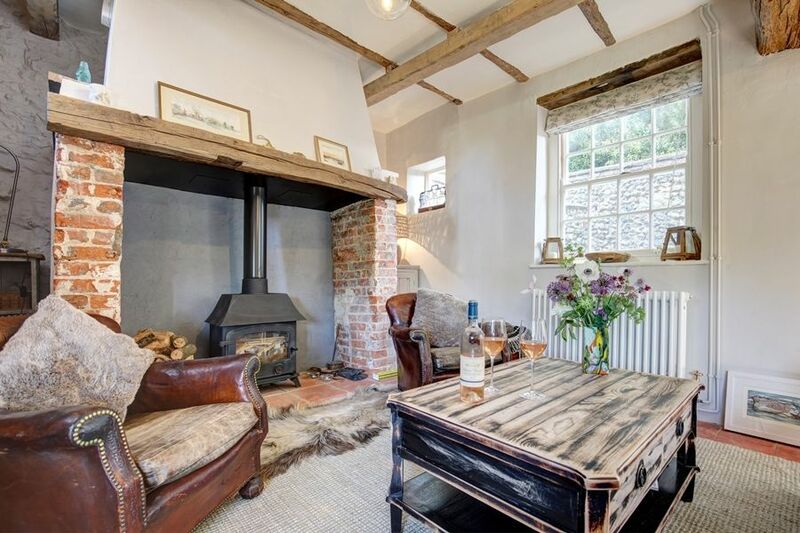 It was very cosy and beautifully decorated, great woodburner. Wine and cake on arrival was a lovely treat. 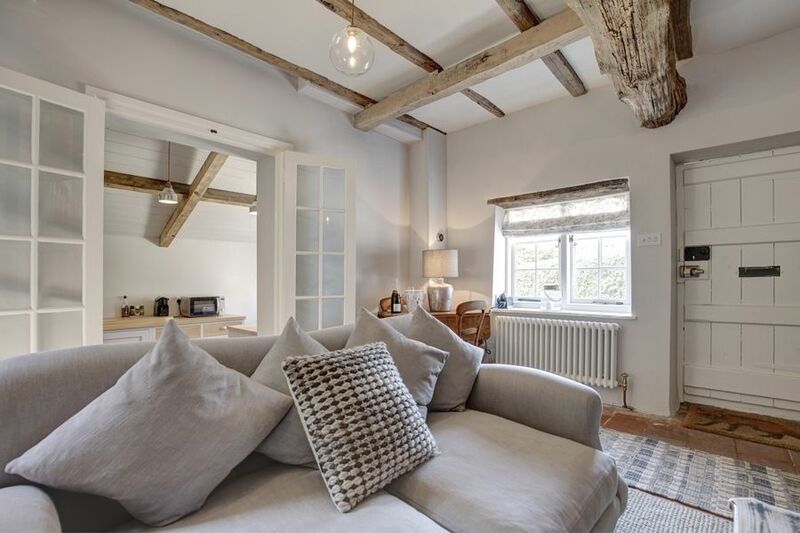 Tasteful renovation, light spacious bedroom and cosy lounge. 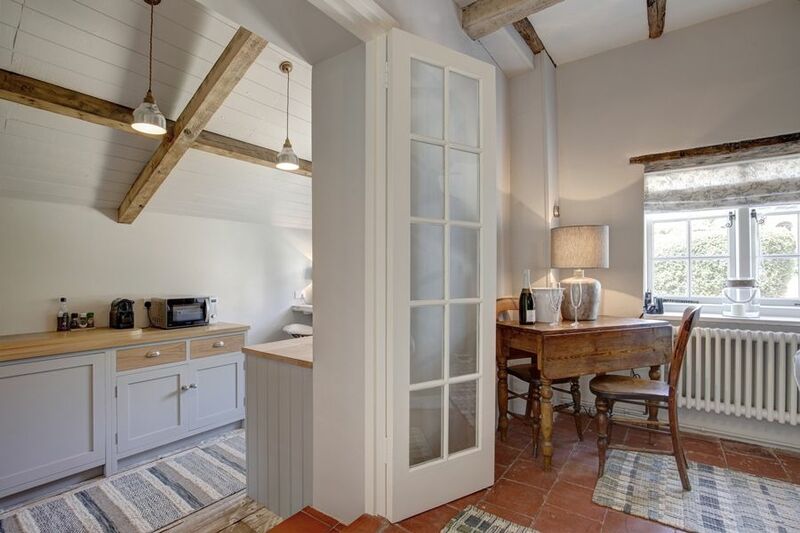 The cottage was lovely and was finished to a very high standard & so well thought out. We loved the lounge which was cosy and comfortable and the bedroom was so cleverly designed. 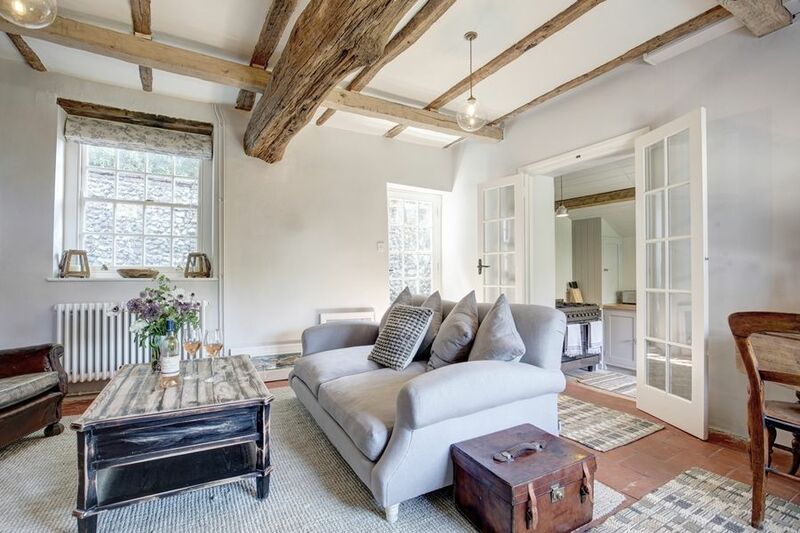 It was the perfect cottage for a couple. Cozy, well decorated, lovely little cottage. Thank you for letting us stay in your gorgeous cottage! 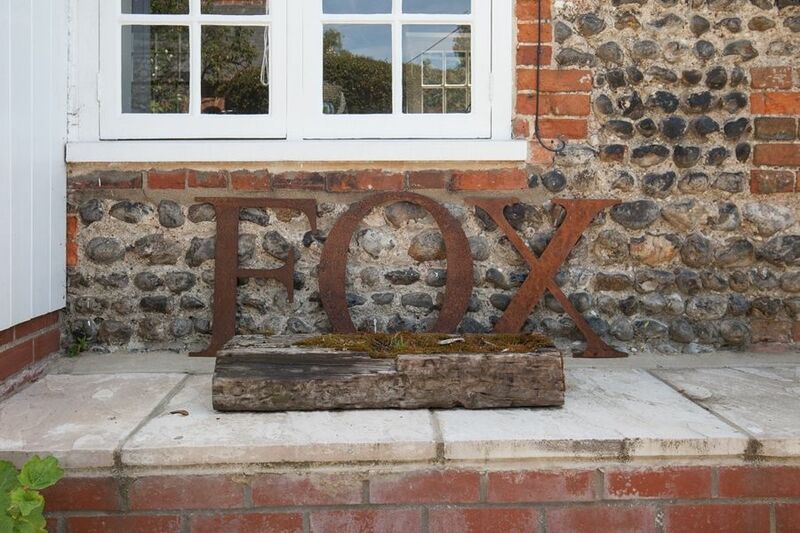 Fox Cottage exceeded our expectations, it was bigger than we thought it would be. Stunningly decorated and amazingly light upstairs. A Stunning House in a great village. Sowerbys were excellent too, top class service. The easiest booking I have ever done!!! Perfect for 2 people and very comfortable. 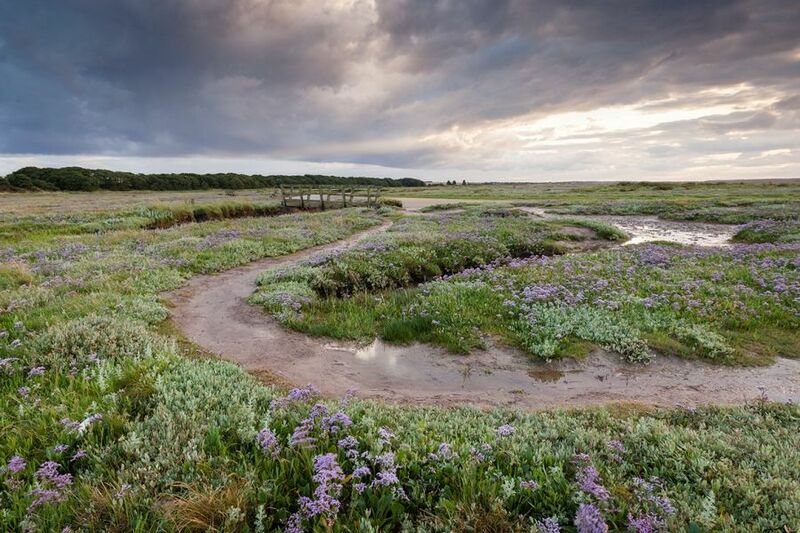 Stiffkey is a picturesque coastal village with one of the oldest stretches of saltmarshes along the Norfolk coast. It is an important wildlife habitait and is an ideal base for walkers and ornithologists with the Norfolk coastal path passing through here. It has an excellent village pub/hotel called The Red Lion which has a good reputation for local ales and good locally sourced food. 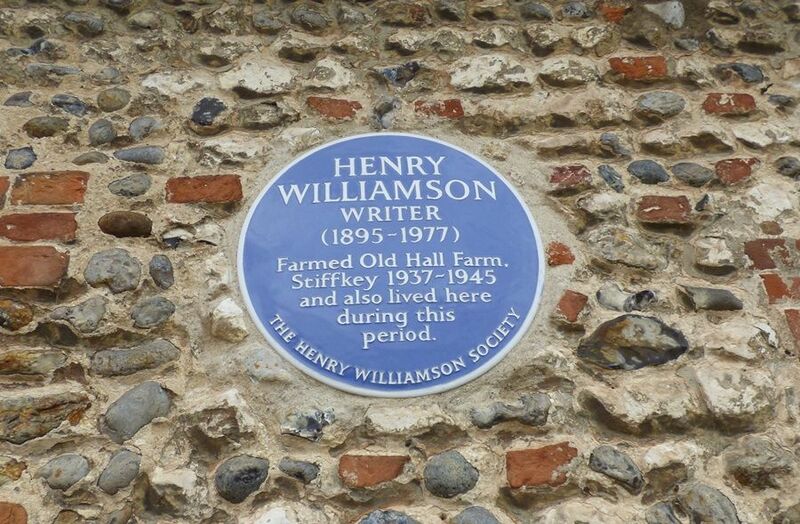 It is also home to the well-stocked local farm shop/cafe: Stiffkey stores. The beautiful sandy beaches at Holkham and Wells-next-the-Sea are approximately 10 minutes drive away, with the harbours and boat trips from Blakeney and Morston within 10 minutes drive to the east. 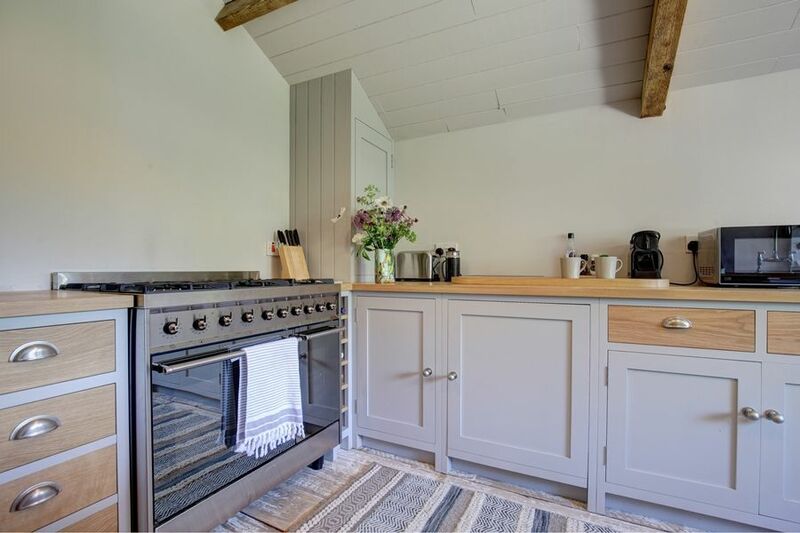 If you would like to see more of our holiday homes in and around the Norfolk coastal town of Stiffkey, please click here.